Inspired by the Rapha Continental builds, this Ritchey Road Logic has been designed to be ridden hard and across all sorts of terrain. Kitted up in the finest wares of the great U S and A, the complete build tops out at a respectable 8kg. Not bad for steel eh? Built with the #steelisreal philosophy in mind, it rides as good as it looks. 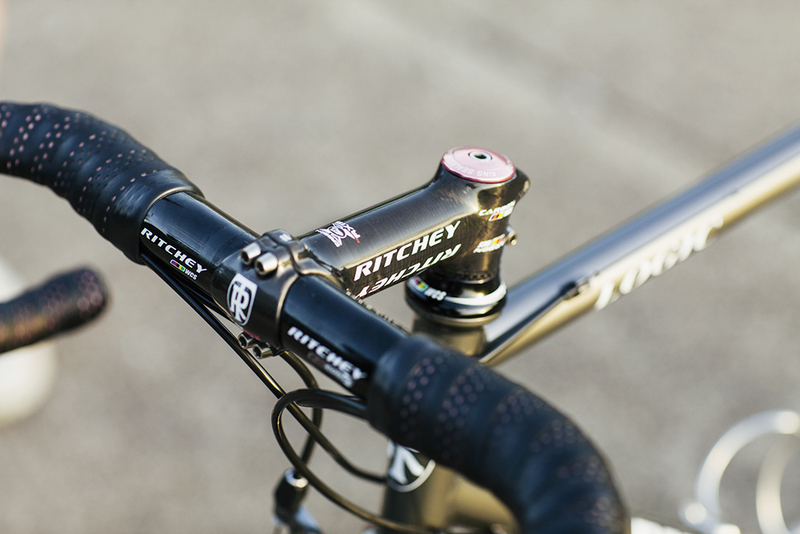 The Ritchey pays homage to the golden days of cycling where discs were used only for mad tunes and gumwalls were on everything. This fine Ritchey has already earned a new personal best time up the 1/20, proving that it's not just the lean legs at play. There's not much else to say other than it's one of the comfiest rides I've ever ridden, almost like riding a couch if that was possible. Shot on location at Village Green Park a.k.a the Coliseo di Cyclocross, VIC. Words by Dean, photos by Adrian.